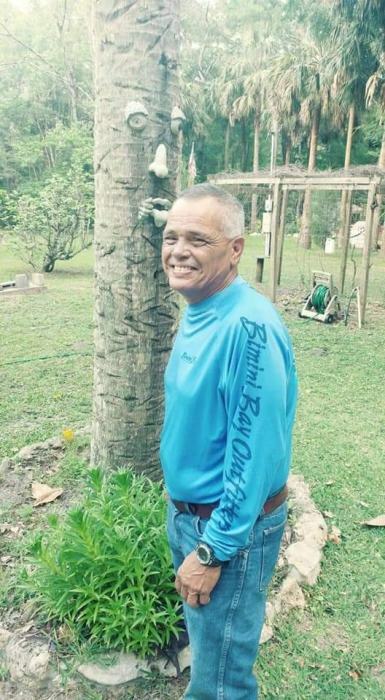 Michael “Red Barron” Diaz, 62, died unexpectedly on Friday, April 5, 2019 at his residence in Inglis, FL. He was born into this life on March 30, 1957 in Tampa, FL and was the son to Frank and Matilda (Hernandez) Diaz. Michael grew up in Tampa and worked for Baycare as a carpenter and worked for the Tampa Eye clinic as an optician. He moved to Inglis from Tampa in 2009 and was a member of the Gulf Hammock Hunting Association. Red Barron loved to hunt, fish, and worship at St. Anthony’s Catholic Church in Inglis. He is preceded in death by his son, Michael Ramonas. His survivors include his son, Stephen Diaz, Clearwater; his daughters, Katlyn Diaz, Hernando and Janette Diaz, Miami; his brother, Frank Diaz, Dixie County; his eight grandchildren and his best friend, Scott Chittum. He will be greatly missed by all his family and friends. A celebration of life will be held on Saturday, April 27th at 'Our Pub' in Inglis, aka the pub, at 1pm.